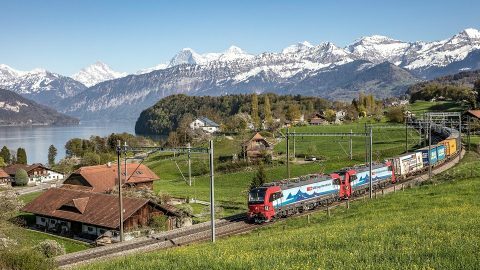 Rail freight has increased its market share of transportation through the Swiss Alps from 69.9 per cent in 2017 to 70.5 per cent in 2018. 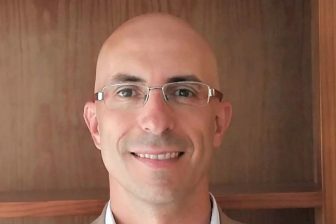 The industry volumes did not reach the 2016 figures, which were the highest since 1997. 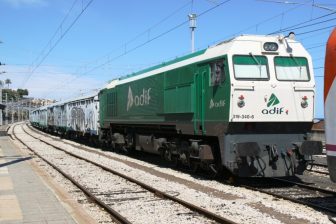 The main challenge for rail freight growth is train unpunctuality caused by construction works, lack of train drivers and locomotives for some operators, the Swiss Federal Office of Transport reported. Transalpine freight trains carried more than 27.9 million tonnes of cargo last year, witnessing a growth of 2.9 per cent compared to the previous year. Transport by lorries showed a small fall of 0.2 per cent having carried around 11.7 million tonnes in 2018. 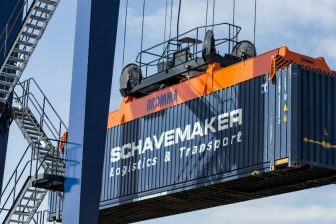 Rail freight transport failed to break the 2016 record when the volumes amounted to 27.8 million tonnes and the market share reached 71 per cent, the highest level since 1997-1998. The same trend is observed on the road. Truck traffic volumes also fell, from 954 to 941 thousand trips, meaning the sector did reach the planned target of 650 thousand trips last year. According to the Swiss Federal Office of Transport, the punctuality of transalpine freight trains has been worsened. In the first quarter of 2018 50.5 per cent of trains arrived in time (delays were no more than 30 minutes). At the end of the year, the figure reduced to 40.5 per cent. Meanwhile, 9.5 per cent of the trains arrived with a delay of less than 1 hour. The other half was as follows: 17.5 per cent had delays from 1 to 3 hours, 10 per cent – from 3 to 6 hours, 8.5 per cent – from 6 to 12 hours and 13.5 per cent – more than 12 hours (data of the fourth quarter of 2018). Gotthard Base Tunnel milestone, source: SBB. The main share of the transalpine rail freight volume is carried via the Gotthard Base Tunnel opened in June 2016. It handled more than 15.3 million tonnes in 2018. 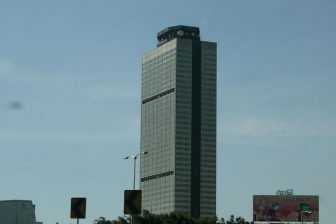 The annual growth was 13 per cent. The lesser share was handled by Simplon Tunnel opened at the beginning of the 20th century. The vast majority of the Gotthard Base Tunnel cargo was handled by two operators of SBB Group – SBB Cargo International (42 per cent) and SBB Cargo (41.4 per cent). In comparison, the entire transalpine rail freight traffic is carried mainly by three companies: SBB Cargo International (38.1 per cent), BLS Cargo (28.3 per cent) and SBB Cargo (26.8 per cent). 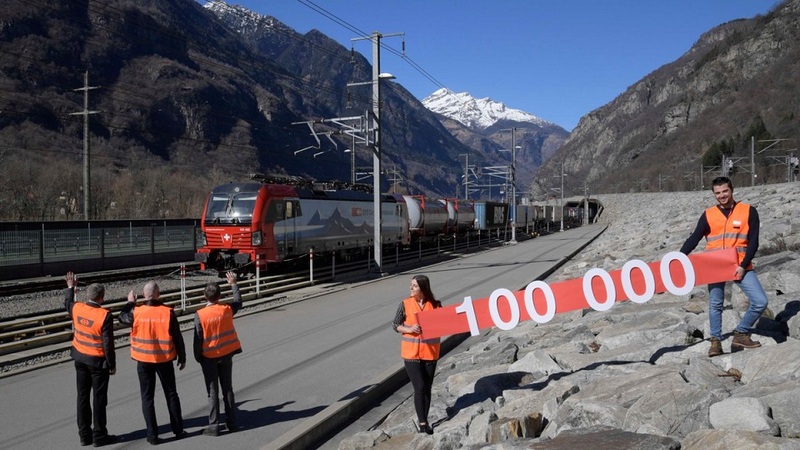 On 5 March 2019, the Gotthard Base Tunnel reached a milestone: 100 thousand trains passed through it since the opening. In general, the tunnel handles 130-160 trains per day, two-thirds of them being freight trains.